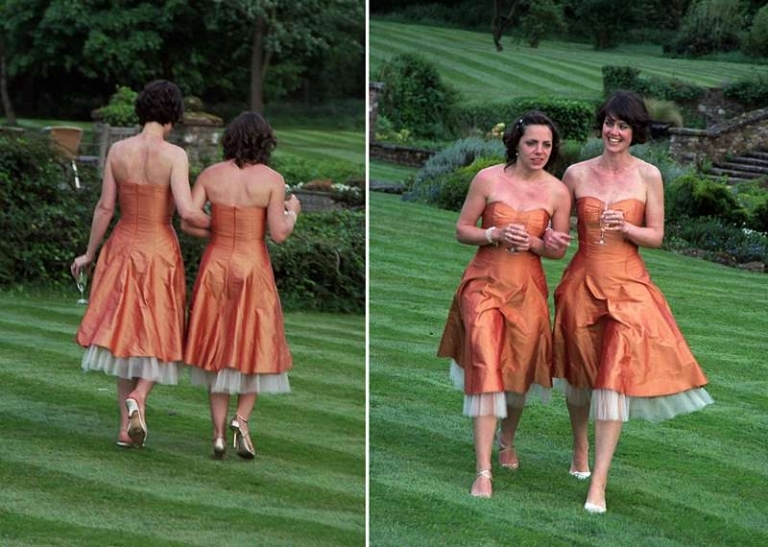 Amanda commissioned four bridesmaid dresses and five cravats for her wedding. The princess line dresses had strapless sweet-heart necklines with a ‘ballet’ style gathered piece at centre front. They were made from a copper coloured silk-dupion with honey coloured tulle peeping out from the tea-length hem. An invisible zip fastened the back of the dress. 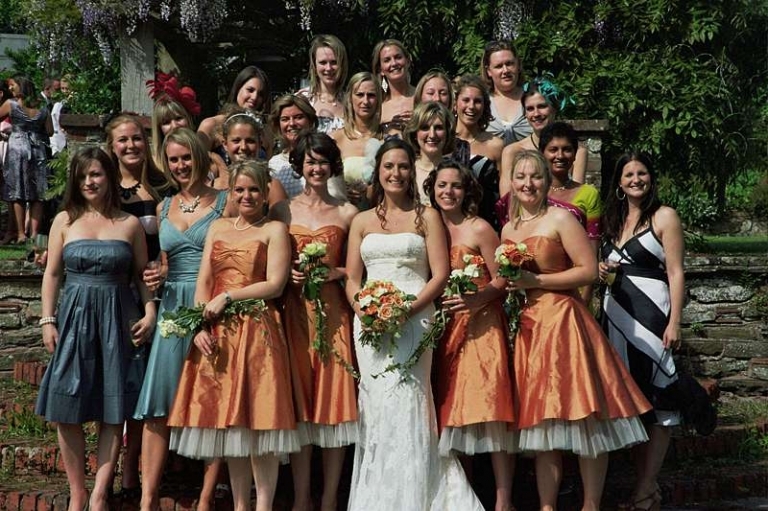 Amanda wrote: At such a special time as your wedding you want professional people who you can trust and get along with to be involved in the crucial big day elements such as bridesmaid dresses, and Felicity was just that. The dresses exceeded our expectations in terms of quality of the workmanship and they were ready ahead of schedule; if you are planning your own wedding, ‘ahead of schedule’ is a phrase you’ll come to delight in! Felicity was very easy to work with, she always gave good advice whilst having the creative and technical understanding to help create the final product. 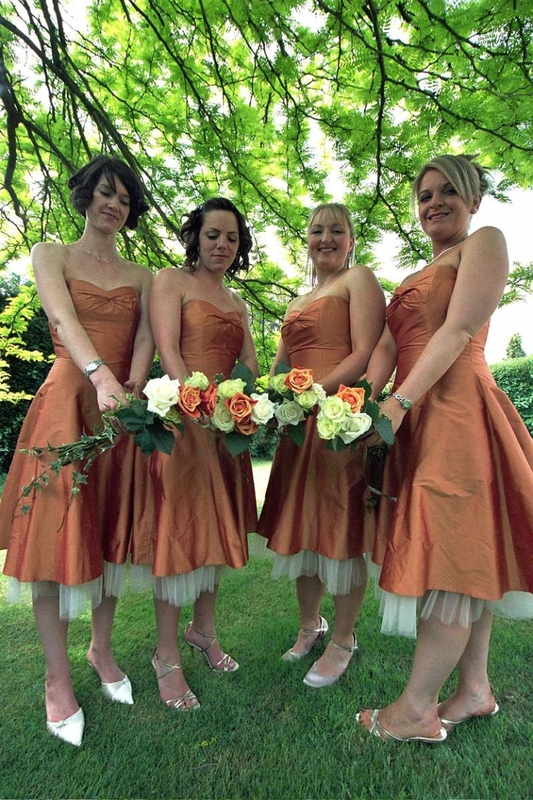 My bridesmaids were very comfortable and happy in their dresses and I was so pleased with them too, they looked beautiful. 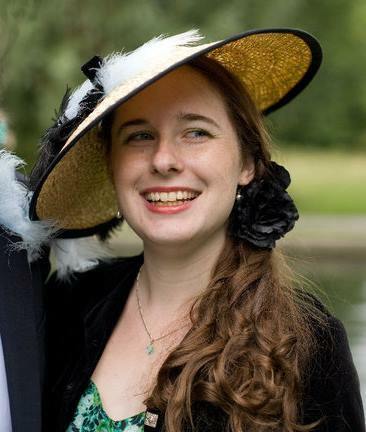 I had such a special wedding day, helped by people such as Felicity. I have already recommended her to friends. Modern ‘scrunchy tie’ style cravats were made for Amanda’s wedding party each with a matching hankie. All the cravats were with a simple neck-band and clip for ease of dressing. 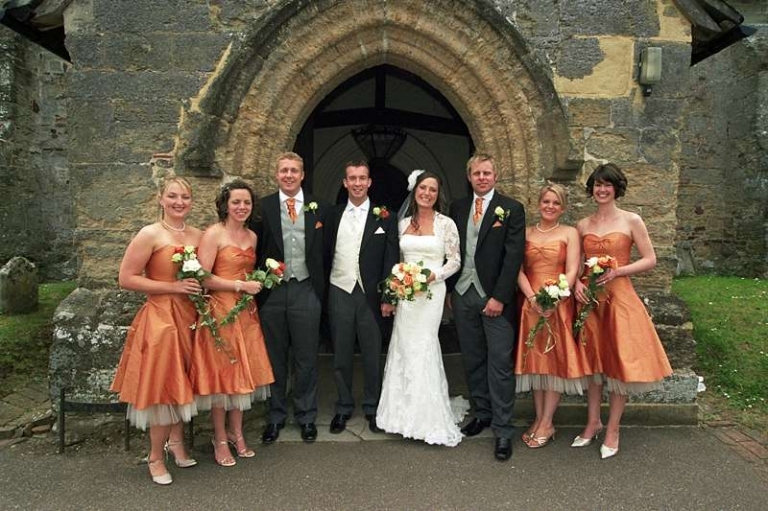 Eight were made in the copper silk dupion to match the bridesmaids’ dresses and a single one in ivory silk-dupion for the groom.